Ask fellow campers about "Cedar City KOA" and nearby attractions. Once again a KOA with amenities for children, but overall a good park. KOA tucked into the small town of Cedar City, tree covered, many sites with grass. Quaint town. did not explore the area, passing through. 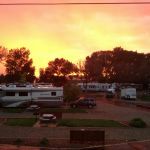 We camped at Cedar City KOA in a Fifth Wheel. We used this park to visit many ares in all directions This worked well for us! Great personal.Very quick and easy check in process. Wi-Fi iffy at best Had to move from a pull thru to a back in to be satellite friendly. Verizon works well. All interior roads are paved. Be very careful entering or leaving most all driveways in this town. Deep drainage ditches and you will drag if not careful! We camped at Cedar City KOA in a Motorhome. Several national parks and monuments are within easy driving distance of Cedar City KOA. It's a convenient base for touring the area. PANOWAN GAP Indian petroglyphs is a MUST! Very friendly check in. Gave us a Cedar City Restaurant guide and a recommendation for an Italian Restaurant that was the best meal we had on our entire 4 week trip. Park is spotless. Fresh paint... manicured and well maintained. The drive access to the spot was level, wide, and the pull through had plenty of room for our Motor Home and TOAD without disconnecting. While connected to the TOAD, the sewer, water, electrical all were placed conveniently. The 50 amp power tested excellent voltage, 60 HZ and no faults or errors. 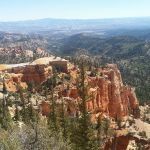 This is the perfect campsite location for visiting, Brian Head Ski Area, Cedar Breaks, Kolob Canyon of Zion, or Bryce Canyon National Park. Of course it varies by year.... but we hit the fall Color perfectly in the third week of September. 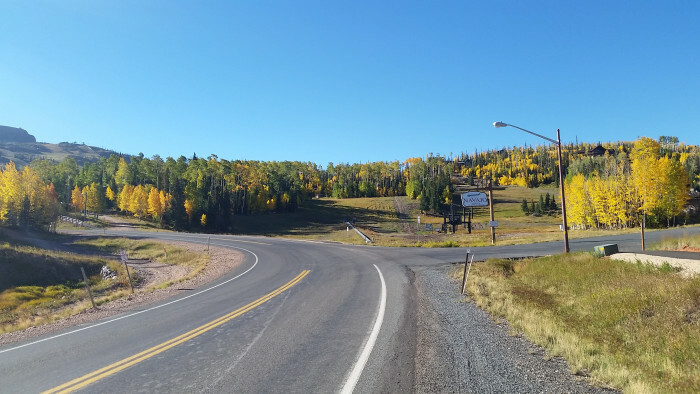 Like all small Utah towns, Cedar City is sparkling and litter free. You definitely feel safe on the streets of Cedar City and the local merchants were friendly and warm. Local support for the High School Football team was evident everywhere. We camped at Cedar City KOA in a Motorhome. We ate at Chef Alfredo's 2313 West Highway 56 just a couple of miles from the campground. One of the best steaks I've ever had in a restaurant and outstanding Italian Food. Was the best meal we had on a 4 week trip around the West. This is a better than average KOA. Our deluxe pull-through was nicely landscaped and was a bit more spacious than the typically tight sites one expects to encounter. The staff was exceptionally pleasant and helpful. Verizon and AT&T both worked well. We camped at Cedar City KOA in a Motorhome. 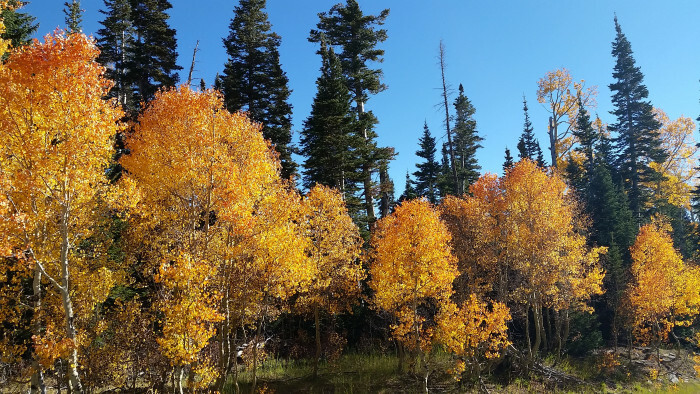 Several national parks and monuments are within easy driving distance of Cedar City. It's a convenient base for touring the area. The park was nice and shady. The site was a back-in and fairly level. They put us in site # 39 which is right next to the kids' playground. Kids are noisy and scream a lot, what's up with that? We had a nice stay except for the location of our site. Next time, I would choose a pull-through. They aren't as shady but they are quieter. We camped at Cedar City KOA in a Motorhome. Recommend the Frontier Homestead State Park and Cedar Breaks National Monument. Ristorante Alfredo's has a fabulous dish called Pasta Frutti di Mar. 2nd stay here, both over nights. Quite park for the most part. A few sites of all types here, long term, pull through, etc. Our sites was near the front, behind the cabins and was deprived of any grass at all. Utilities layed out strangely and offered a bit of a puzzle to connect. One dog run, and it was on the other side of the park, too far to walk our two, especially in the heat. I agree that the asphalt needs to be fixed, makes for a bumpy drive. Easy to get to the downtown area and the offering of the town. Would really like to see more grass and dog areas through out the park. 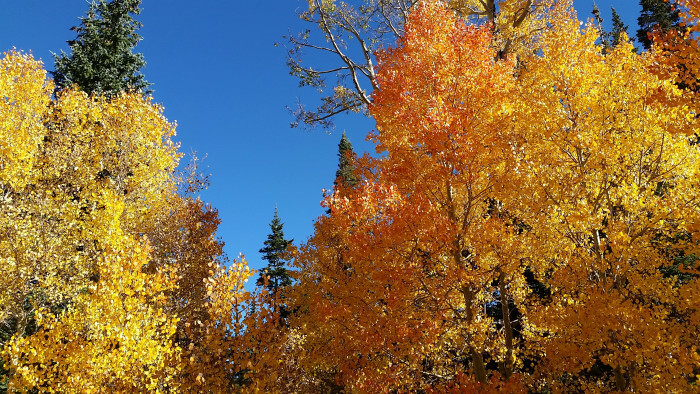 We camped at Cedar City KOA in a Fifth Wheel. Great park, and apparently a 2018 KOA President's Aware Winner. I can see why. Office staff was awesome, our site had neatly trimmed grass, a brick patio, nice picnic table and a charcoal grill. Commerical laundry on site, and a fenced dog run long enough to throw a ball. Sidewalk along Main street in both directions gave options for longer dog walks without running into other dogs. Paved streets and gravel sites. Some long term residents, but neatly kept sites. Pool was not open yet. Amazingly, there was the most beautiful white lilac bush in full bloom while we were here...something we haven't seen since we left Michigan! One of my top two favorite KOA parks. Close to Zion, Kolob Canyon, Bryce Canyon, Parowan Gap Petroglyph/Dinosaur Footprint site. Cedar Breaks NM was not open, but we took the scenic drive out Highway 14 to Highway 143 and through Brian Head Ski Resort anyway. The area around Cedar City was a surprise. Lush green grass, orange cliffs and snow peaked mountains. Scenery was gorgeous everywhere we went, & the location was convenient to all the Parks and Monuments that we came to see. We camped at Cedar City KOA in a Motorhome. An old KOA right off the highway, so plenty of road noise during the day and evening. Does get quiet at night. Roads are old asphalt needing serious repair. The sites also need help, ie. new gravel and some leveling. I had tried to make a reservation, but was told I didn't need one. Then, when we arrived it took a good 15-20 minutes for the woman to decide where to put us. Hookups were strange and required some calculating for room to put out slides. 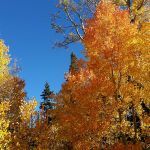 We camped at Cedar City KOA in a Fifth Wheel. 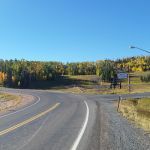 Decent RV park to stay at right outside Cedar Breaks NM. It's located on Main St., right off Rt 15 with easy access to shopping, etc in town. Cedar Breaks is about 30 min away. Road noise was heavy on Main St. on weekday mornings. Sites are spacious with gravel driveway, concrete patios, picnic table, small lawn area and lots of shade trees where we were. There are no fire pits in individual sites. We camped at Cedar City KOA in a Motorhome. Pull through sites are in the open with no shade. Back in sites right behind the building on nicely shaded and convenient to restrooms. The park has been expanded from its earlier close and cramped configuration, now features lengthy pull through sites for big rigs. Caution: when entering and leaving watch for the bump as you cross the curb. Good access to the places we wanted to visit, services worked just fine ... internet marginal. We camped at Cedar City KOA in a Motorhome. Very nice park in nice area of town. Mature tree's and friendly staff. We camped at Cedar City KOA in a Motorhome. This is my first time at this campground and after checking in and setting up, I was immediately pleased. There's many trees in the section I was assigned to and the sites are reasonably spacious. Each comes with a table and a barbecue. The staff is friendly (they sell ice cream cones) and helpful. I would stay here again. We camped at Cedar City KOA in a Motorhome. Beware of KOA in Cedar city, I tried to stay at the KOA in Cedar City, Utah 1 year ago and had issues with power pedestal to my Motorhome in site B13. The park manager said he would have an electrician check the pedestal and contact me with the findings. He indicated that there was nothing wrong with the pedestal and that the park would not accept responsibility for the damage to my auto transformer or transfer switch in my Motorhome. I again went to the same campground on July 18th in site B12 and had the same issue. They told me it was my RV that was the problem. I knew better because I was using my RV for the last year without an issue. I left the campground and moved 1 mile down the street to another campground and had no issues during my entire weeks stay. 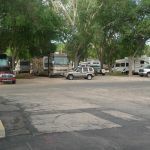 Our friends also had a reservation at the KOA in Cedar City, Utah and they stayed, at the park, in site B14 on a 30A breaker with no problem. Someone else parked in site B13 tried to use the 50A connection and they were having the same power issues I experienced as well. Again the park told him it was his rig and that they have not had any complaints about the power pedestal. I regret that I will not be staying at this KOA in the future as long as the campground is under the current management. I feel that the park should reimburse me for the cost of the new transfer switch and Hughes Transformer that were damaged during my stay. We camped at Cedar City KOA in a Motorhome. Utah Shakespeare Festival and Zions, Cedar Breaks and Bryce Canyon National Parks all within 1-2 hours driving time. Narrow interior roads that are in disrepair. Our site was long enough for our 40 ft fiver but very oddly shaped and not level either front to back or side to side. The trees are hanging low in spots both in some sites and on the roads. NO WHERE NEAR worth the $49 per night. We will look for another campground next time. 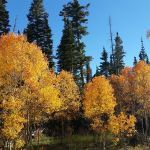 We camped at Cedar City KOA in a Fifth Wheel. The concrete pad at our site was broken in several large pieces due to tree roots. It was too unlevel to sit outside comfortably. We did not notice it until after we unhitched our trailer and started setting things up. We felt that staff should have been aware of the broken concrete at that site and, since we were staying for two weeks, put us in a better site. We do not understand why when we stay one and two weeks at places we seem to get the worst sites. Aside from the broken slab, it was a nice park. The sites were small but level. There was a good amount of grass. Laundry facilities were very nice. We camped at Cedar City KOA in a Travel Trailer. Note that Cedar Breaks National Monument is closed during the winter months. While waiting out the wind storm we visited Cedar Breaks National Monument. It is spectacular and hasn't changed in 25 years. 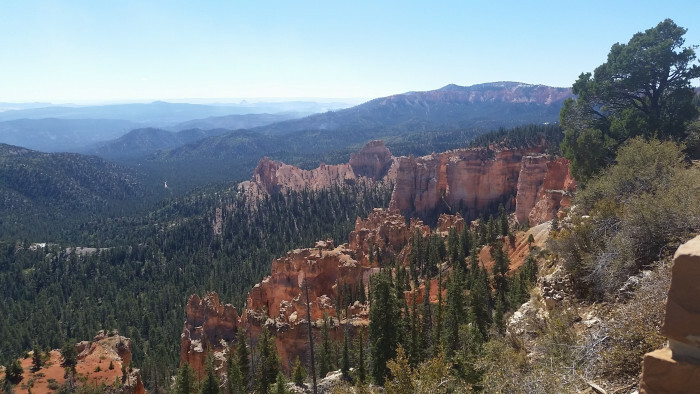 We used the Cedar City KOA as jumping off site for Zion (1 hour) and Bryce Canyon (1.5 hours). 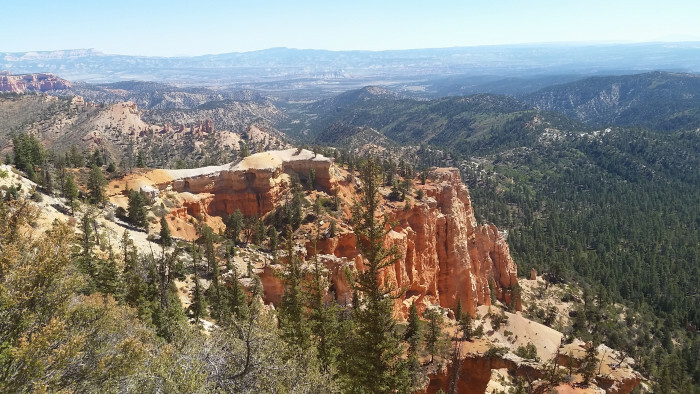 The Cedar Breaks and Brian Head area near Cedar City are also excellent and well worth a visit. Brian Head peak is a little over 11,ooo feet and easily accessible with a toad. Cedar City is a nice town. Good place to use as a base camp when visiting the Natl Parks in the area. 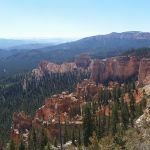 Be sure to go to Cedar Breaks National Monument. Be sure to read the campground brochure. We ate at a very good Japanese restaurant and then saw in the KOA brochure the next morning there was a 20% off coupon. Site was not level, trees blocked the satellite dish from picking up a signal, no grass, close to neighbor. We would go back here faience it's so close to all the parks but hopefully get a temporary pull thru site, they had grass, looked level & could use satellite. Lots of good restaurants in Cedar City. Hard to pick a favorite. Several markets were close by and a Walmart just a few miles away. Drove up to Cedar Breaks National Monument. Reminded me of Bryce, but on a much smaller scale. The grade of the road going up runs from 4 to 8% which makes for slow going at times and be sure to downshift if you come back down the same way. 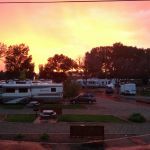 Are you affiliated with Cedar City KOA ?